If you liked this show, you should follow WLLF Radio Network. 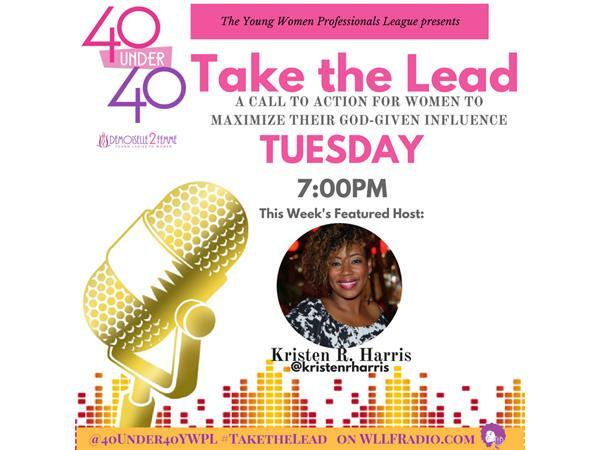 TONIGHT 2/28/17..."Take the Lead: A Call to Action for Women to Maximize Their God-given Influence" hosted by the 40 Under 40 Young Women Professionals League will discuss The 8 HABITS OF AN INFLUENTIAL PERSON with this week's featured host @KristenRHarris. Tune In at 7:00PM on WLLFRadio.com or call in at 929-477-2416 and press 1 to speak to the host.